I know! Trust me, I know. When it comes to spending time or money or pretty much doing anything for yourself it just doesn't happen. We, moms, are extremely good at putting everyone else's needs before our own. Am I right?! I also know that this is why most of us do not prioritize our personal health + fitness. It's because we are exhausted and feel selfish the minute we do something for us. It's what made the decision to work on me so hard two and a half years ago, but since making that decision I've learned that putting myself first a few times a day really benefits everyone. With that said, I understand that making the initial investment can be a little scary. So, my team and I are working together to give you a taste of what we have to offer. 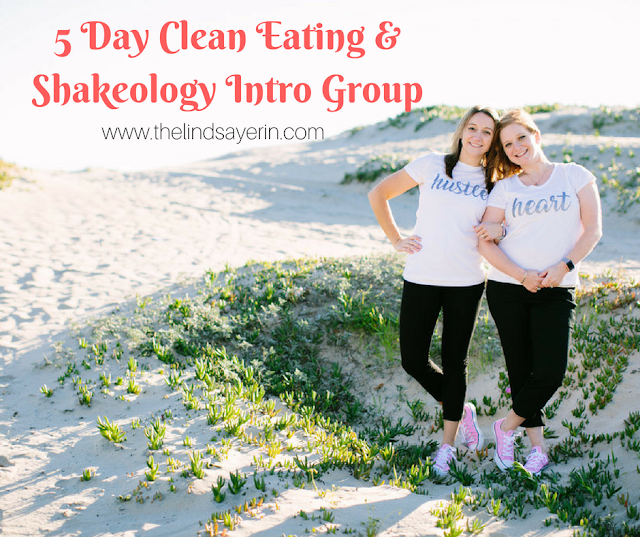 We are hosting a 5 Day Clean Eating & Shakeology Intro Group starting May 22nd. This is going to allow you to try Shakeology for 5 days + clean eating + give you a 30 day FREE trial of Beachbody on Demand so you can see how to make this lifestyle work for you and your family and how much it blesses all of you when you do. As an added bonus, when you decide to join my June accountability group after participating in this introduction group, I will personally gift you a cash back incentive. This means, you will essentially get to do this 5 day group for free!